Millions of buyers are looking for their next motorcycle on Cycle Trader this month! We're Fast! Post your motorcycle in just a few minutes. We're Free! Sell your motorcycle online with our basic package. What is a Suzuki RM80? Browse Suzuki RM80 Motorcycles for sale on CycleTrader.com. 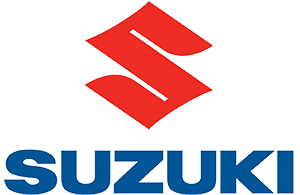 View our entire inventory of New Or Used Suzuki Motorcycles. CycleTrader.com always has the largest selection of New Or Used Motorcycles for sale anywhere. Let CycleTrader.com know how we can do better. Hmm, looks like we only found 1 motorcycle. Save this search and opt-in to get an email when new matching motorcycles are listed. You might like these other Suzuki Motorcycles. 2019 Suzuki GSX-R600, 2019 Suzuki GSX-R600 - MSRP $11,399.00 - SALE PRICE $10,599.00 + FEES - FINANCING AVAILABLE 2019 Suzuki GSX-R600 Suzuki GSX-R600 is a class-leading sportbike worthy of its race-winning GSX-R heritage. Whether you’re carving through your favorite canyon or dominating the racetrack, it offers unparalleled performance. A compact, powerful four-cylinder engine demonstrates the advanced race-proven technology of the GSX-R line when you hit the throttle and push it to redline, while supremely refined suspension systems front and rear help provide precise, responsive handling. Wrapped in aerodynamic and lightweight bodywork that’s lifted from the racetrack, the GSX-R600 can not only win races, it can win envy. Features may include: Built to own the racetrack and let loose on the streets. Since 1985, the GSX-R has been continuously refined to deliver new levels of performance and agility. This legacy of innovation continues with over 1 million legends made. ENGINE Compact 599cc, four-cylinder engine with a race-proven over-square bore/stroke ratio that produces remarkably strong high rpm power delivery. The energy efficient engine employs forged pistons, shot-peened connecting rods, chrome-nitride-coated upper compression and oil control rings, and pentagonal ventilation holes to reduce frictional and mechanical losses. Camshafts with aggressive valve-lift profiles were developed using proven MotoGP racing engine technology the first time this method has been applied to a production Suzuki. CHASSIS Lightweight and compact twin-spar aluminum alloy frame is constructed of five cast sections to produce a balance of light weight and strength. The frame is mated with a cast aluminum swingarm and multi-piece rear sub-frame that’s ready for racetrack use. Race-developed, lightweight Showa BPF deliver superb feedback and consistent performance. ADDITIONAL Stylized Suzuki “S” 3-D emblems on the fuel tank and the fork upper bracket denotes the quality, sophistication, and performance legacy of the brand. Optional single seat cowl can replace the passenger seat for an even more aggressive look or for use on solo rides or track days.  2019 Suzuki DR650S, 2019 Suzuki DR650S The 2019 Suzuki DR650S is quite possibly the best all-around, dual-purpose motorcycle available today. Every DR650S is quality built by Suzuki and features a reliable, 644cc, oil-cooled, four-stroke, single engine carried in a strong steel, semi-double cradle frame. The telescopic fork and link-style rear suspension can tackle tough trails or urban roads. So a variety of riders can enjoy this motorcycle, the seat height can be significantly reduced. Strong aluminum, spoke-style rims carrying tires that can handle the street or dirt are fitted so riders can tackle pavement or trails with ease. With new Solid Black bodywork complete with distinctive red and silver graphics, the DR650S will look good ridden on any surface. Features may include: Choose your own adventure. For those who love carving corners and the call of the wild, our DualSport machines deliver comfort on the street, control off the beaten path, and full command everywhere in between. Get ready for an ideal combination of lightweight agility and crisp handling. Engine Features The compact and powerful, 644cc, SOHC, four-stroke, air- and oil-cooled engine features the Suzuki Advanced Cooling System (SACS). Piston-jet cooling and an engine oil cooler create consistent performance in a variety of conditions. The engine is tuned with an emphasis on performance in the low- to mid-rpm range, while a gear-driven balancer shaft minimizes vibration for a comfortable ride. Suzuki Composite Electrochemical Material (SCEM)-coated aluminum cylinder is used for durability, light weight, and excellent heat dissipation. Chassis Features A lightweight, compact, rigid semi-double cradle frame provides agile handling on- and off-road. Innovative, height-adjustable* front fork provides smooth and progressive action. Large diameter, thin-walled tubes reduce unsprung weight, while maintaining high rigidity. A link-type rear suspension with piggyback style, aluminum-body shock absorber provides stable performance. The height adjustable* shock features adjustable spring preload and compression damping to personalize the suspension for rider, load, and terrain. Electrical Features DR650S is powered by a lightweight and compact, low-maintenance battery. A fully equipped lighting system comes with a bright 60/55-watt halogen headlight. 2019 Suzuki DR-Z400SM, 2019 Suzuki DR-Z400SM Suzuki's SuperMoto DR-Z400SM is based on the proven DR-Z400S. So it combines Supermotard style and features in a narrow, lightweight, street-legal package. This bike brings off-road soul and fun to paved roads. It’s not uncommon to take the SuperMoto down a twisty forest road, around tight canyon corners, or through commuter traffic.Its 398cc, liquid-cooled, four-stroke engine provides strong low-rpm torque and crisp throttle response for any of these occasions. Key differences between the DR-Z400SM and the DR-Z400S are the inverted front fork, wide, spoke-style wheels, and 300mm diameter floating front brake rotor. The inverted fork contributes to less unsprung weight and improved overall handling, while the large brake and wider rims with high-grip tires offer an exhilarating sportbike experience. Features may include: Live in a concrete jungle? Here’s your vine. Grab hold of our supermoto, the street hybrid that’s 80% dirtbike and 100% fun. Ride nice and tall in traffic, then dominate in rough road conditions where most other bikes have to back off. Engine Lightweight, 398cc, DOHC, liquid-cooled, dry-sump engine produces strong, tractable power. Compact, four-valve cylinder head has 36mm intake valves, 29mm exhaust valves, narrow 28-degree included valve angle, and shim-under-bucket valve adjustment system. Simple electric starting is powered via a lightweight starter motor with an automatic mechanical decompression system. Transmission Compact, five-speed transmission utilizes a cable-operated clutch with a separate magnesium outer cover for simplified clutch maintenance. Low-maintenance, long-life, sealed O-ring type drive chain produces minimal sounds when riding. Chassis Wide, blue or gold anodized RK Excel aluminum rims with stainless steel spokes are fitted with sporty radial tires: 120/70-R17 front and 140/70-R17 rear. Strong braking performance is supplied by a front disc brake with a large 300mm floating-type rotor and dual-piston caliper, plus a 240mm rear disc brake with single-piston caliper. Long travel, Showa inverted front fork is derived from a RM250 and features adjustable compression/rebound damping and alumite coating on inner tube surfaces for smooth action. 2019 Suzuki Boulevard M109R B.O.S.S., As low as $0 down $337 per month WAC* 2019 Suzuki Boulevard M109R B.O.S.S. Motorcycle for sale at Riva Motorsports Miami 2019 Riva Suzuki Event! Sale pricing on all in-stock Suzuki models while stock lasts! Own for as low as $0 down $337 per month with approved credit! Payment is based on 7.99% APR credit approval. Other options available. Contact us to apply. Riva Motorsports Miami Financing Available Trade-ins Welcome This is the performance cruiser other bikes wish they were. The dark and muscular M109R B.O.S.S. has a powerful V-twin engine using some of the largest pistons in the industry a bike that will get your adrenaline flowing whenever you ride. This 109 cubic inch engine is wrapped with aggressive blacked out styling that includes slash-cut mufflers, drag-style bars, a supplied solo seat cowl, and a distinctively shaped headlight nacelle that’s uniquely Suzuki. This bike is not just about looks, as stout inverted forks, a hidden single-shock rear suspension, and an ideally designed saddle deliver responsive handling and an exceptionally comfortable ride. Performance never looked so good, or so dark. Features may include: Climb aboard a true classic. Kick back and enjoy the timeless style that made riding synonymous with freedom. It’s all about the laid-back stance, broad saddle, and that irresistible rumble that only a cruiser can provide. ENGINE The 109 cubic inch (1783cc), eight-valve, DOHC, 54-degree, liquid-cooled, V-twin engine is designed to produce a massive tractable power and responsive torque. Huge 4.4-inch (112mm) forged aluminum-alloy pistons. These are one of the largest reciprocating gasoline engine pistons being used in any production passenger car or motorcycle, while featuring a race-proven design to reduce friction and inertial mass. Each of the large cylinders is lined with Suzuki's race proven SCEM (Suzuki Composite Electrochemical Material) for optimum heat transfer, tighter piston-to-cylinder clearances, and reduced weight. CHASSIS A high-tensile steel double cradle frame is built to comfortably handle all the power and torque while delivering agile handling and a plush, smooth ride. The massive, low-profile 240/40 x 18 is the widest rear tire ever used on a Suzuki motorcycle. Blacked out, inverted front forks feature race-proven cartridge internals with 46mm stanchion tubes and provide 5.1 inches of smooth wheel travel. Don't miss this great finance offer from Suzuki, Cash Sales Price or Special Rate Financing! Click on the promotions and special offers link below!Three decades ago Suzuki revolutionized sportbikes with the introduction of the GSX-R750. Ever since then, the GSX-R750 has remained true to its original concept and championship-winning heritage. Its secret is an unequaled pairing of 750cc performance with the lightweight, compact chassis of a 600cc Supersport, complemented by technologically advanced suspension front and rear. Try a GSX-R750 and you’ll quickly realize this motorcycle defines performance riding from the center of the sportbike class. 2019 Suzuki GSX-S750Z, As low as $0 down $182 per month WAC* 2019 Suzuki GSX-S750Z Motorcycle for sale at Riva Motorsports Miami Suzuki SpringFest! Over $3k off of this last remaining 2018 model! Own for as low as $0 down $182 per month with approved credit. Sale price includes all rebates and incentives and can NOT be combined with Suzuki special financing. Payment is based on 7.99%APR for 60 months credit approval. Other options available. Contact us to apply. Riva Motorsports Miami Financing Available Trade-Ins Welcome The GSX-S750Z blends GSX-R750-derived engine performance with an ergonomically sound chassis to fashion a naked sportbike that gathers attention everywhere you ride it thanks to its dark, sinister appearance. The GSX-S750Z’s aggressive styling with blacked out engine and chassis components set it apart from other middleweight sportbikes, and many of those competitors cost considerably more to purchase and own.As with the GSX-S1000, this GSX-S750Z inherits its heart and soul from Suzuki’s MotoGP race experience and the 30-year heritage of the GSX-R750. With strong, torque-rich engine power and a suite of rider-assist features, this GSX-S750Z is ready to capture hearts and turn heads as the performance value leader in its class.This is the perfect sportbike response to the craving of today’s discriminating riders, as the GSX-S750Z looks great and outperforms other entries in the class. It is nimble, comfortable, and an exhilarating, fun ride that retains Suzuki’s heritage of quality and reliability. Features may include: ENGINE Potent 749cc four-cylinder fuel injected engine uses 2005 GSX-R750 architecture, so the power delivery is an excellent blend of strong low end and a muscular top end. Using the K5-generation GSX-R engine architecture also permits a shorter chassis, which greatly enhances handling. This also makes the GSX-S750 the only motorcycle in its class with an engine with SuperSport lineage. Ventilation holes are machined into the bottom side of each cylinder in the GSX-S750Z crankcase. The holes reduce pumping loss to help produce power and gain fuel economy. TRANSMISSION The race-proven, six-speed, close-ratio transmission features vertically staggered shafts to reduce overall engine length. The shorter, final gear ratio enables the GSX-S750Z to accelerate quicker than the prior model while the additional engine power maintains the same top speed potential. Large-diameter, wet multi-plate clutch is derived from a GSX-R750 design to easily transmit power while the rack-and-pinion clutch release provides the rider with superb friction-point feel. 2019 Suzuki DR-Z400SM, WE ARE THE #1 SUZUKI MOTORCYCLE DEALER IN THE U.S.A! FLORIDA'S ONLY SUZUKI OUTLET, COME TAKE A TEST RIDE TODAY! 2019 Suzuki DR-Z400SM Suzuki's SuperMoto DR-Z400SM is based on the proven DR-Z400S. So it combines Supermotard style and features in a narrow, lightweight, street-legal package. This bike brings off-road soul and fun to paved roads. It’s not uncommon to take the SuperMoto down a twisty forest road, around tight canyon corners, or through commuter traffic.Its 398cc, liquid-cooled, four-stroke engine provides strong low-rpm torque and crisp throttle response for any of these occasions. Key differences between the DR-Z400SM and the DR-Z400S are the inverted front fork, wide, spoke-style wheels, and 300mm diameter floating front brake rotor. The inverted fork contributes to less unsprung weight and improved overall handling, while the large brake and wider rims with high-grip tires offer an exhilarating sportbike experience. Features may include: Live in a concrete jungle? Here’s your vine. Grab hold of our supermoto, the street hybrid that’s 80% dirtbike and 100% fun. Ride nice and tall in traffic, then dominate in rough road conditions where most other bikes have to back off. Engine Lightweight, 398cc, DOHC, liquid-cooled, dry-sump engine produces strong, tractable power. Compact, four-valve cylinder head has 36mm intake valves, 29mm exhaust valves, narrow 28-degree included valve angle, and shim-under-bucket valve adjustment system. Simple electric starting is powered via a lightweight starter motor with an automatic mechanical decompression system. Transmission Compact, five-speed transmission utilizes a cable-operated clutch with a separate magnesium outer cover for simplified clutch maintenance. Low-maintenance, long-life, sealed O-ring type drive chain produces minimal sounds when riding. Chassis Wide, blue or gold anodized RK Excel aluminum rims with stainless steel spokes are fitted with sporty radial tires: 120/70-R17 front and 140/70-R17 rear. Strong braking performance is supplied by a front disc brake with a large 300mm floating-type rotor and dual-piston caliper, plus a 240mm rear disc brake with single-piston caliper. Long travel, Showa inverted front fork is derived from a RM250 and features adjustable compression/rebound damping and alumite coating on inner tube surfaces for smooth action. Redesigned for 2019 and ready for battle, the RM-Z250 marries the sleek, race-ready appearance of the RM-Z450 with an upgraded engine and a list of chassis changes to achieve superior performance. Using Suzuki’s “RUN, TURN and STOP” philosophy, factory engineers have made the 2019 RM-Z250 an even more formidable competitor.The RM-Z250 has always set the standard as the best-handling 250 on the track. Now, the 2019 edition has more power, thanks to a host of changes that include a new cylinder head and dual injector EFI, to boost performance through the entire rev range. The frame and swingarm are new, as is the KYB-supplied suspension that includes a new coil spring fork. Strong brakes and ergonomically shaped bodywork that help keep the rider in control as the RM-Z250 carves up the racetrack.Back in the pits, tuning the new EFI system for maximum performance is easy, thanks to Suzuki’s proven fuel-coupler system. Suzuki’s Winning Balance is again on display with the 2019 RM-Z250, as it again raises its own high standard for cornering performance. 2019 Suzuki SV650X ABS, Just what you are looking for at a great price! Call today! 863-676-2245 If you’re looking to get out on the road on a sporty bike with café racer styling, look no further than Suzuki’s SV650X. The SV650X is a brash, middleweight bike propelled by a smooth-revving V-twin engine tucked into a slim and lightweight trellis frame. And there’s more, as the SV650X combines power and agility with classic café racer looks. Whether in stop-and-go city traffic or on country roads, this bike delivers exhilaration and riding fun. No matter where you pull up to park, the retro appeal of the SV650X is unmistakable with its bikini fairing above the headlight, corresponding clip-on handlebars, a tuck-and-roll-look seat, and blacked out controls. Mix in your favorite stretch of road and you’ll see that this café bike’s smooth V-twin power and agile handling make the SV650X an exciting ride with unmatched curb appeal. The 2019 Suzuki DR200S is the affordable motorcycle that can tackle a dirt trail or be a street commuter—and get 88 mpg with its reliable, 199 cc engine, complete with push-button electric-starting, telescopic front forks, a 3.3 gallon tank, and abundant torque. This makes the DR200S the intelligent choice for trail enthusiasts and commuters alike. With sharp, competition-like styling, Solid Special White bodywork with new, distinctive graphics, and a reasonable 33.3 inch seat height, this 278 pound cycle delivers the agile maneuverability and fun Suzuki is known for. 2019 Suzuki SV650 ABS, Cash Price Listed, 0% for 60 months in lieu of $350 rebate expires 4/30/2019 2019 Suzuki SV650 ABS Suzuki continues to refine this iconic motorcycle that embodies the sporty personality that only a lively, mid-sized V-twin roadster can deliver. The SV650 ABS has a polished powerplant that provides surprising performance with low emissions and outstanding fuel economy, mated to refined trim and a lightweight chassis that delivers a sporty, exciting ride. New for 2019 is a repositioned muffler that increases the lean angle when cornering and a pair of new four-piston Tokico brake calipers up front for excellent stopping power. Like its predecessors, the 2019 SV650 ABS promises to have the sparkling performance, style, and value that a broad range of riders will enjoy. Features may include: Get a grip on a whole new standard. Striking looks. Comfort. Power. Versatility. Our standards deliver easy ergonomics, modern style, and metro muscle in dynamite packages. Whatever type of riding you prefer, our standards can handle it. ENGINE Class exclusive*, 645cc, DOHC, V-twin engine produces strong, torque-rich horsepower while conforming the latest emission requirements. The engine’s 90-degree L-twin configuration has perfect primary balance, so a heavy, power-robbing counter balancer is not needed. The energy efficient engine has unique pistons that were engineered with use of FEM (Finite Element Method) analysis to achieve optimal rigidity and weight. CHASSIS Bright, durable LED combination tail and brake light, plus front and rear, amber-tinted turn signals. Attention to rider comfort and confidence includes a carefully shaped seat with a high-grip cover and integrated cargo retention loops that can pull out from under the seat. The styling was conceived to express slim, lightweight design and to showcase the strength of V-twin engine. The clean, neatly shaped body lines are aimed to be appealing to a wide range of riders. ADDITIONAL Stylized Suzuki “S” 3-D emblems on the fuel tank and the fork upper bracket denotes the quality, sophistication, and performance legacy of the brand. A variety of Genuine Suzuki Accessories for SV owners are available, including a large selection of Suzuki logo apparel. 12-month limited warranty. Longer coverage periods with other benefits available through Suzuki Extended Protection (SEP). 2019 Suzuki GSX-R750, Includes Customer Cash 2019 Suzuki GSX-R750 Three decades ago Suzuki revolutionized sportbikes with the introduction of the GSX-R750. Ever since then, the GSX-R750 has remained true to its original concept and championship-winning heritage. On the road or on the track, the GSX-R750 delivers a breathtaking combination of outstanding engine performance, crisp handling, compact size, and light weight. Its secret is an unequaled pairing of 750cc performance with the lightweight, compact chassis of a 600cc Supersport, complemented by technologically advanced suspension front and rear. Try a GSX-R750 and you’ll quickly realize this motorcycle defines performance riding from the center of the sportbike class. Features may include: Built to own the racetrack and let loose on the streets. Since 1985, the GSX-R has been continuously refined to deliver new levels of performance and agility. This legacy of innovation continues with over 1 million legends made. ENGINE Compact 750cc, four-cylinder engine with a race-proven over-square bore/stroke ratio that produces remarkably strong high rpm power delivery. The energy-efficient engine employs forged pistons, shot-peened connecting rods, chrome-nitride-coated upper compression and oil control rings, and pentagonal ventilation holes to reduce frictional and mechanical losses. Lightweight titanium alloy valves are controlled by single-coil valve springs to reduce valve-train mass, reducing mechanical losses at high rpm. CHASSIS Lightweight and compact twin-spar aluminum alloy frame is constructed of five cast sections to produce a balance of light weight and strength. The frame is mated with a cast aluminum swingarm and multi-piece rear sub-frame that’s ready for racetrack use. Race-developed, lightweight Showa Big Piston front Fork (BPF) delivers superb feedback and consistent performance. ADDITIONAL Stylized Suzuki “S” 3-D emblems on the fuel tank and the fork upper bracket denotes the quality, sophistication, and performance legacy of the brand. Optional single seat cowl can replace the passenger seat for an even more aggressive look or for use on solo rides or track days. A variety of Genuine Suzuki Accessories for GSX-R owners are available, including a large selection of Suzuki logo apparel. 2019 Suzuki GSX-R600, WE ARE THE #1 SUZUKI MOTORCYCLE DEALER IN THE U.S.A! FLORIDA'S ONLY SUZUKI OUTLET, COME TAKE A TEST RIDE TODAY! 2019 Suzuki GSX-R600 Suzuki GSX-R600 is a class-leading sportbike worthy of its race-winning GSX-R heritage. Whether you’re carving through your favorite canyon or dominating the racetrack, it offers unparalleled performance. A compact, powerful four-cylinder engine demonstrates the advanced race-proven technology of the GSX-R line when you hit the throttle and push it to redline, while supremely refined suspension systems front and rear help provide precise, responsive handling. Wrapped in aerodynamic and lightweight bodywork that’s lifted from the racetrack, the GSX-R600 can not only win races, it can win envy. Features may include: Built to own the racetrack and let loose on the streets. Since 1985, the GSX-R has been continuously refined to deliver new levels of performance and agility. This legacy of innovation continues with over 1 million legends made. ENGINE Compact 599cc, four-cylinder engine with a race-proven over-square bore/stroke ratio that produces remarkably strong high rpm power delivery. The energy efficient engine employs forged pistons, shot-peened connecting rods, chrome-nitride-coated upper compression and oil control rings, and pentagonal ventilation holes to reduce frictional and mechanical losses. Camshafts with aggressive valve-lift profiles were developed using proven MotoGP racing engine technology the first time this method has been applied to a production Suzuki. CHASSIS Lightweight and compact twin-spar aluminum alloy frame is constructed of five cast sections to produce a balance of light weight and strength. The frame is mated with a cast aluminum swingarm and multi-piece rear sub-frame that’s ready for racetrack use. Race-developed, lightweight Showa BPF deliver superb feedback and consistent performance. ADDITIONAL Stylized Suzuki “S” 3-D emblems on the fuel tank and the fork upper bracket denotes the quality, sophistication, and performance legacy of the brand. Optional single seat cowl can replace the passenger seat for an even more aggressive look or for use on solo rides or track days. 2019 Suzuki GSX-R600, As low as $0 down $256 per month WAC* 2019 Suzuki GSX-R600 Sportbike Motorcycle for sale at Riva Motorsports Miami 2019 Riva GSX-R Event! Sale pricing on all in-stock GSX-R models while stock lasts! Own for as low as $0 down $256 per month with approved credit! Payment is based on 7.99% APR credit approval. Other options available. Contact us to apply. Riva Motorsports Miami Financing Available Trade-ins Welcome Suzuki GSX-R600 is a class-leading sportbike worthy of its race-winning GSX-R heritage. Whether you’re carving through your favorite canyon or dominating the racetrack, it offers unparalleled performance. A compact, powerful four-cylinder engine demonstrates the advanced race-proven technology of the GSX-R line when you hit the throttle and push it to redline, while supremely refined suspension systems front and rear help provide precise, responsive handling. Wrapped in aerodynamic and lightweight bodywork that’s lifted from the racetrack, the GSX-R600 can not only win races, it can win envy. Features may include: Built to own the racetrack and let loose on the streets. Since 1985, the GSX-R has been continuously refined to deliver new levels of performance and agility. This legacy of innovation continues with over 1 million legends made. ENGINE Compact 599cc, four-cylinder engine with a race-proven over-square bore/stroke ratio that produces remarkably strong high rpm power delivery. The energy efficient engine employs forged pistons, shot-peened connecting rods, chrome-nitride-coated upper compression and oil control rings, and pentagonal ventilation holes to reduce frictional and mechanical losses. Camshafts with aggressive valve-lift profiles were developed using proven MotoGP racing engine technology the first time this method has been applied to a production Suzuki. CHASSIS Lightweight and compact twin-spar aluminum alloy frame is constructed of five cast sections to produce a balance of light weight and strength. The frame is mated with a cast aluminum swingarm and multi-piece rear sub-frame that’s ready for racetrack use. Race-developed, lightweight Showa BPF deliver superb feedback and consistent performance. ADDITIONAL Stylized Suzuki “S” 3-D emblems on the fuel tank and the fork upper bracket denotes the quality, sophistication, and performance legacy of the brand. Optional single seat cowl can replace the passenger seat for an even more aggressive look or for use on solo rides or track days. 2019 Suzuki Hayabusa, For Internet Sale pricing please call or text Taylor at 865-985-4126 2019 Suzuki Hayabusa The Suzuki Hayabusa is quite simply the Ultimate Sportbike. Twist the throttle on this iconic motorcycle and it reacts with awesome acceleration and crisp throttle response in every gear with an unbelievable top-end charge. Thanks to a lightweight and rigid twin-spar aluminum frame and state-of-the-art suspension, its performance is matched by equally impressive handling, providing exceptional control in tight corners, reassuring stability in sweeping turns, and a smooth ride on the highway. The sleek, aerodynamic bodywork functions as it appears, so the Hayabusa slips through the wind like a peregrine falcon. Features may include: Built to own the racetrack and let loose on the streets. Since 1985, the GSX-R has been continuously refined to deliver new levels of performance and agility. This legacy of innovation continues with over 1 million legends made. ENGINE Powerful 1340cc, in-line four-cylinder, fuel injected, liquid-cooled, DOHC engine delivers a broad wave of torque for effortless acceleration. Forged three-ring aluminum alloy slipper pistons provide superior strength, while PVD-coated rings reduce friction and improve cylinder sealing. The chrome nitride Physical Vapor Deposition (PVD) piston ring coating is harder and smoother than conventional chrome plating, reducing friction while improving sealing to the cylinder. CHASSIS Twin-spar aluminum alloy frame is constructed with castings and extrusions to produce a balance of light weight and strength. Rear sub-frame made of rectangular steel tubing for ample weight-carrying capacity. KYB inverted cartridge forks feature Diamond-Like Carbon (DLC) coating on the 43mm stanchion tubes to reduce friction and improve reaction to small road surface irregularities. ADDITIONAL Stylized Suzuki “S” 3-D emblems on the fuel tank and the fork upper bracket denote the quality, sophistication and performance legacy of the brand. Quality details abound with passenger foot-peg brackets, muffler hangers, rider foot peg and control brackets that evoke the fine art of feudal Japanese armor, Yoroi-Kabuto. A variety of Genuine Suzuki Accessories for Hayabusa owners are available including a large selection of Suzuki logo apparel. 2019 Suzuki GSX-S750 ABS, New 2019 SUZUKI GSX-S750 ABS Motorcycle owned by our Decatur store and located in DECATUR. Give our sales team a call today - or fill out the contact form below. 2019 Suzuki Hayabusa, WE ARE THE #1 SUZUKI MOTORCYCLE DEALER IN THE U.S.A! FLORIDA'S ONLY SUZUKI OUTLET, COME TAKE A TEST RIDE TODAY! 2019 Suzuki Hayabusa The Suzuki Hayabusa is quite simply the Ultimate Sportbike. Twist the throttle on this iconic motorcycle and it reacts with awesome acceleration and crisp throttle response in every gear with an unbelievable top-end charge. Thanks to a lightweight and rigid twin-spar aluminum frame and state-of-the-art suspension, its performance is matched by equally impressive handling, providing exceptional control in tight corners, reassuring stability in sweeping turns, and a smooth ride on the highway. The sleek, aerodynamic bodywork functions as it appears, so the Hayabusa slips through the wind like a peregrine falcon. Features may include: Built to own the racetrack and let loose on the streets. Since 1985, the GSX-R has been continuously refined to deliver new levels of performance and agility. This legacy of innovation continues with over 1 million legends made. ENGINE Powerful 1340cc, in-line four-cylinder, fuel injected, liquid-cooled, DOHC engine delivers a broad wave of torque for effortless acceleration. Forged three-ring aluminum alloy slipper pistons provide superior strength, while PVD-coated rings reduce friction and improve cylinder sealing. The chrome nitride Physical Vapor Deposition (PVD) piston ring coating is harder and smoother than conventional chrome plating, reducing friction while improving sealing to the cylinder. CHASSIS Twin-spar aluminum alloy frame is constructed with castings and extrusions to produce a balance of light weight and strength. Rear sub-frame made of rectangular steel tubing for ample weight-carrying capacity. KYB inverted cartridge forks feature Diamond-Like Carbon (DLC) coating on the 43mm stanchion tubes to reduce friction and improve reaction to small road surface irregularities. ADDITIONAL Stylized Suzuki “S” 3-D emblems on the fuel tank and the fork upper bracket denote the quality, sophistication and performance legacy of the brand. Quality details abound with passenger foot-peg brackets, muffler hangers, rider foot peg and control brackets that evoke the fine art of feudal Japanese armor, Yoroi-Kabuto. A variety of Genuine Suzuki Accessories for Hayabusa owners are available including a large selection of Suzuki logo apparel. 2019 Suzuki GSX-R750, For Internet Sale pricing please call or text Taylor at 865-985-4126 2019 Suzuki GSX-R750 Three decades ago Suzuki revolutionized sportbikes with the introduction of the GSX-R750. Ever since then, the GSX-R750 has remained true to its original concept and championship-winning heritage. On the road or on the track, the GSX-R750 delivers a breathtaking combination of outstanding engine performance, crisp handling, compact size, and light weight. Its secret is an unequaled pairing of 750cc performance with the lightweight, compact chassis of a 600cc Supersport, complemented by technologically advanced suspension front and rear. Try a GSX-R750 and you’ll quickly realize this motorcycle defines performance riding from the center of the sportbike class. Features may include: Built to own the racetrack and let loose on the streets. Since 1985, the GSX-R has been continuously refined to deliver new levels of performance and agility. This legacy of innovation continues with over 1 million legends made. ENGINE Compact 750cc, four-cylinder engine with a race-proven over-square bore/stroke ratio that produces remarkably strong high rpm power delivery. The energy-efficient engine employs forged pistons, shot-peened connecting rods, chrome-nitride-coated upper compression and oil control rings, and pentagonal ventilation holes to reduce frictional and mechanical losses. Lightweight titanium alloy valves are controlled by single-coil valve springs to reduce valve-train mass, reducing mechanical losses at high rpm. CHASSIS Lightweight and compact twin-spar aluminum alloy frame is constructed of five cast sections to produce a balance of light weight and strength. The frame is mated with a cast aluminum swingarm and multi-piece rear sub-frame that’s ready for racetrack use. Race-developed, lightweight Showa Big Piston front Fork (BPF) delivers superb feedback and consistent performance. ADDITIONAL Stylized Suzuki “S” 3-D emblems on the fuel tank and the fork upper bracket denotes the quality, sophistication, and performance legacy of the brand. Optional single seat cowl can replace the passenger seat for an even more aggressive look or for use on solo rides or track days. A variety of Genuine Suzuki Accessories for GSX-R owners are available, including a large selection of Suzuki logo apparel. The Suzuki Hayabusa is quite simply the Ultimate Sportbike. Twist the throttle and it responds with awesome acceleration and crisp throttle response in every gear with an unbelievable top-end charge.Thanks to a lightweight and rigid twin-spar aluminum frame and state-of-the-art suspension, that performance is matched by equally impressive handling, providing exceptional control in tight corners, reassuring stability in sweeping turns and a smooth ride on the highway. The sleek, aerodynamic body work functions as it appears so the Hayabusa slips through the wind like a Peregrine Falcon. 2019 Suzuki Boulevard M109R B.O.S.S., For Internet Sale pricing please call or text Taylor at 865-985-4126 2019 Suzuki Boulevard M109R B.O.S.S. This is the performance cruiser other bikes wish they were. The dark and muscular M109R B.O.S.S. has a powerful V-twin engine using some of the largest pistons in the industry a bike that will get your adrenaline flowing whenever you ride. This 109 cubic inch engine is wrapped with aggressive blacked out styling that includes slash-cut mufflers, drag-style bars, a supplied solo seat cowl, and a distinctively shaped headlight nacelle that’s uniquely Suzuki. This bike is not just about looks, as stout inverted forks, a hidden single-shock rear suspension, and an ideally designed saddle deliver responsive handling and an exceptionally comfortable ride. Performance never looked so good, or so dark. Features may include: Climb aboard a true classic. Kick back and enjoy the timeless style that made riding synonymous with freedom. It’s all about the laid-back stance, broad saddle, and that irresistible rumble that only a cruiser can provide. ENGINE The 109 cubic inch (1783cc), eight-valve, DOHC, 54-degree, liquid-cooled, V-twin engine is designed to produce a massive tractable power and responsive torque. Huge 4.4-inch (112mm) forged aluminum-alloy pistons. These are one of the largest reciprocating gasoline engine pistons being used in any production passenger car or motorcycle, while featuring a race-proven design to reduce friction and inertial mass. Each of the large cylinders is lined with Suzuki's race proven SCEM (Suzuki Composite Electrochemical Material) for optimum heat transfer, tighter piston-to-cylinder clearances, and reduced weight. CHASSIS A high-tensile steel double cradle frame is built to comfortably handle all the power and torque while delivering agile handling and a plush, smooth ride. The massive, low-profile 240/40 x 18 is the widest rear tire ever used on a Suzuki motorcycle. Blacked out, inverted front forks feature race-proven cartridge internals with 46mm stanchion tubes and provide 5.1 inches of smooth wheel travel.